The general commanding the US-led coalition against Islamic State said that Kurds will be involved in liberating Raqqa, the IS capital. Kurdish militias are considered terrorists by Turkey, which is also angling for a role in the battle. "I do anticipate there will be Kurds involved in Raqqa assault. There are Kurds from Raqqa," US Army Lieutenant General Stephen Townsend, commander of the Combined Joint Task Force for Operation Inherent Resolve (CJT-OIR), told reporters on Wednesday. "There are going to be Kurds assaulting Raqqa for sure. The number, the size of them, and how many Kurdish units are participating in that, I can't really say right now," Townsend added, according to Reuters. That sort of arrangement is not sitting well with Washington’s NATO ally Turkey, which considers the Syrian Kurdish militias (PYD and YPG) to be terrorist organizations allied with the Kurdistan Worker’s Party (PKK). On Wednesday, the newspaper Yeni Safak reported that Ankara could bar the US from using Incirlik Air Base in southeastern Turkey if the coalition enlists the Kurds in capturing the capital of Islamic State (IS, formerly ISIS/ISIL). “We are engaged in discussions with Turks on how they might participate in the liberation of Raqqa, and I don’t know what the numbers of their participation might be," Townsend said during Wednesday’s briefing. Turkey invaded Syria in August 2016, seeking to establish a “security zone” along its border in the operation dubbed “Euphrates Shield.” Turkish troops and Ankara-backed “moderate rebels” encountered little resistance at first, but bogged down in attempts to capture the key city of Al-Bab. Another Turkish objective was to prevent the Kurdish forces east of the Euphrates from linking up with their compatriots in the Afrin district, who are allied with Syrian government forces and have been instrumental in last year’s liberation of Aleppo. 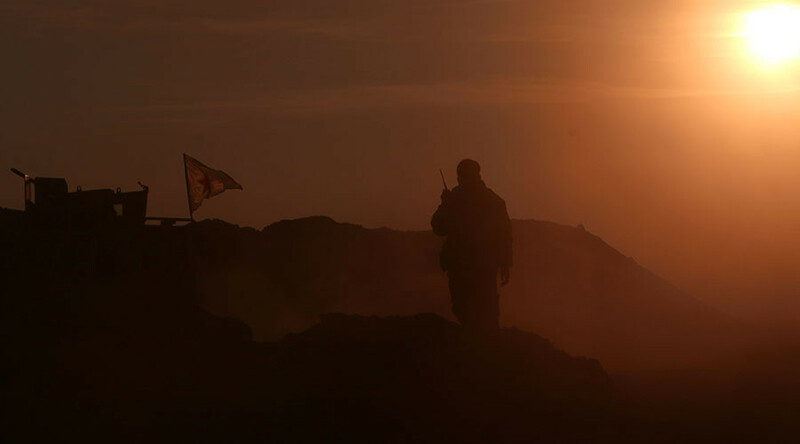 Turkish forces finally took Al-Bab on February 24, but quickly found their way towards Raqqa blocked by Syrian government troops, which linked up with the US-backed “Syrian Democratic Forces” (SDF) on Monday. The SDF includes several Arab tribal militias, but Kurds make up the bulk of its combat forces. The SDF has been advancing on Raqqa since November 2016. In recent weeks, they’ve been aided by airstrikes from Russian bombers, coordinated with the US through “deconfliction” arrangements. Townsend also told reporters it was less important who took Raqqa than who ends up administering the city after its liberation. The Obama administration said last year that it expected “outside forces” to withdraw from Raqqa and leave it to local Arab forces. The same arrangement was supposed to happen in Manbij, an Arab-majority city liberated from IS last August. Turkey has repeatedly demanded that the SDF vacate Manbij, which the Kurds have refused to do.